I got a late start on the current discussion of “American Exceptionalism.” When I was in grad school, there was some talk about it. The idea at the time was that the U. S., unique among the Western powers, had no experience of feudalism; no deep-rooted anticlericalism; no authentic Marxist reaction to the brutalities of the early Industrial Revolution. We were the exception. In this post, I am going to pass along some slides my brother Karl found. Neither of us claims to have developed this information; both of us find it frightening. Here, I will simply show you the charts and comment on each. This chart doesn’t need a great deal of comment. These nation-states are shown by the number of prisoners per 100,000 of population and by how unequally the income is distributed within each state. Japan has distributed its income most equally of the nations shown here and has the fewest prisoners. We are at the other end, almost off the chart entirely. 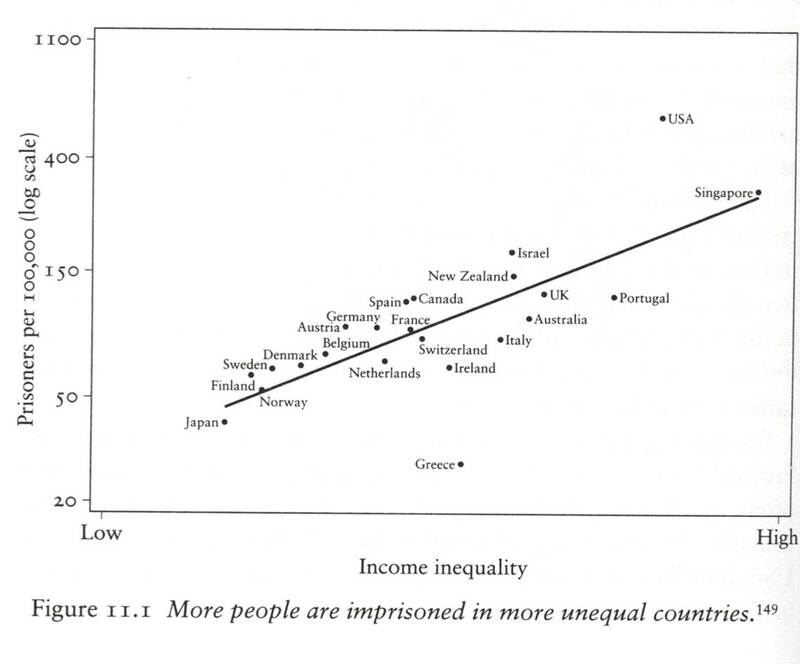 The very highest in income inequality and in number of prisoners. The authors think there is a relationship between those two facts. I am simply looking at American exceptionalism. Here is an example. When we sing about “the land of the free,” we aren’t talking about the percent of Americans in prison. This one looks at social mobility. In general terms, social mobility is the ability to move “up the ladder of success.” You have to get pretty deep into the sociological literature before they start to consider moving down the ladder. 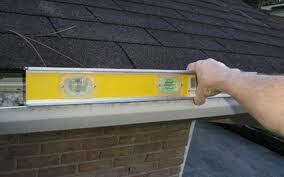 Getting up the ladder is a deeply American aspiration. It shows up, in part, in our wanting to preserve the favorable status of the elites because, you know, we always might become elites ourselves and we would want that status to be there for us, or possibly for our children. That being the case, it is a shame we aren’t Scandanavian. The four nations clustered at the top of this scale are the lowest in income inequality—the highest, that is, in “income equality”—and they have the highest social mobility. No reason at all why a little Finnish child shouldn’t hope to grow up to be Prime Minister. Again, this chart doesn’t speculate about causes. It just groups the nations by where they fall on these two measures. We are exceptional, again, in how unequally our income is distributed and in how unlikely any of us is to improve his or her social standing. The final chart is a variation on the same theme. 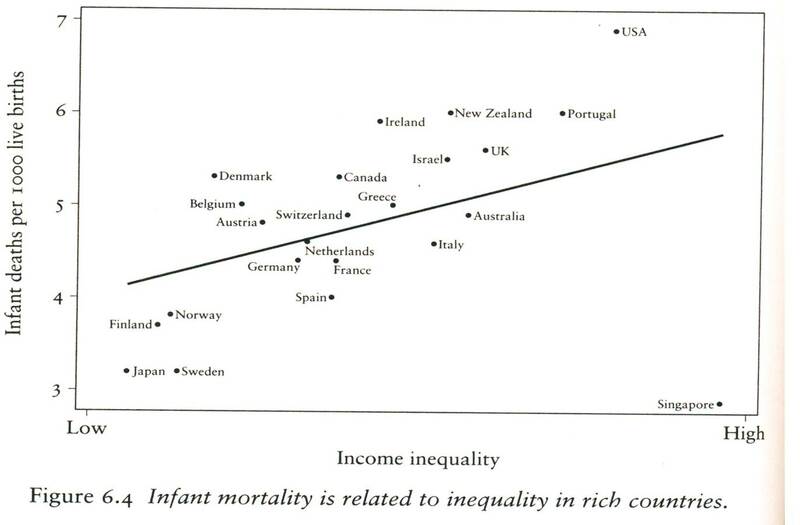 This one looks at infant mortality. Remember that the bottom line doesn’t measure the availability of income. You could have a rich nation right next to a poor nation on this chart. It measures how very little the poor have in that country compared to the rich in that country. Again, we are clearly exceptional. Not as much as Singapore, as you see. Singapore’s wealth is even more unevenly distributed than ours, but the instances of infant mortality are very low. Ours are very high. None of this is at all pretty. I know this isn’t what the current discussion of “American exceptionalism” is about, but maybe it should be. I’ve just begun reading a very good book on this question. 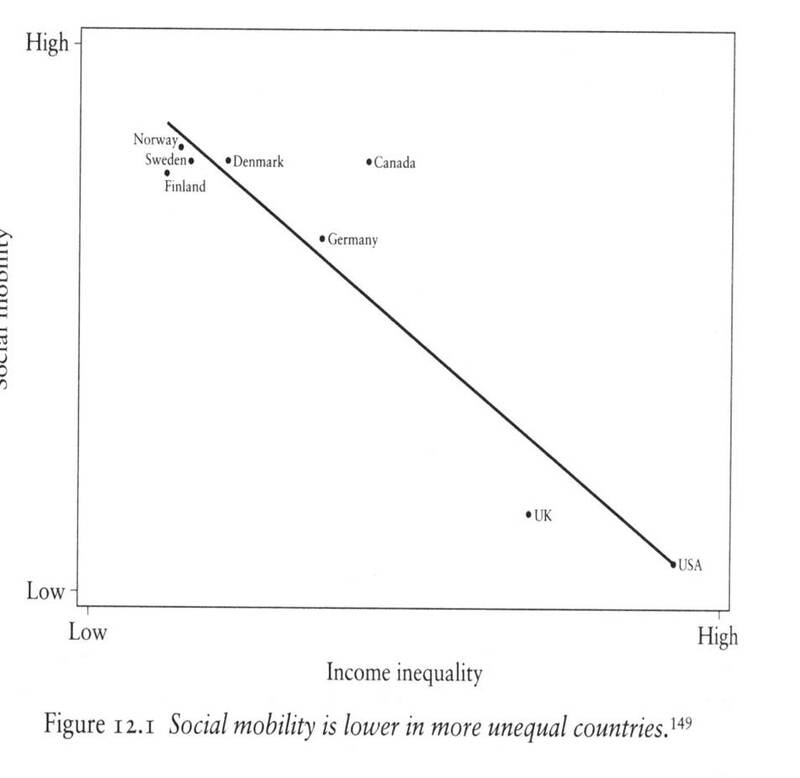 It is The Spirit Level: Why Greater Equality Makes Societies Stronger by Kate Pickett and Richard Wilkinson. A “spirit level” is what Americans would call a carpenter’s level, the one where you try to adjust the surface so the bubble is between the lines. America is about half a bubble out of plumb, as we used to say at the lumber yard where I grew up. This entry was posted in Politics and tagged american exceptionalism, income inequality. Bookmark the permalink. Alas, another post that advocates the machinations of a nanny state. If you are not a fan of income inequality, then perhaps you might want to think about voting for Democrats. Liberals always love to be “generous” with other people’s hard-earned money. Nice charts! Don’t bother with footnotes and those silly things called references. Just as long as it is anti-American, it’s legitimate and statistically sound! Income is not “distributed”. It is earned. And America presents as good, if not better, an opportunity to earn it than any of these other countries. Interesting how these comments reflect ideology and ignore the facts on the charts. Scary to me how many people think something is true because they want it to be true – kind of like Humpty Dumpty. In contrast, Warren Buffet speaks of living in a place where his skill set is very effective and recognizes that if he lived in Congo, for example, it wouldn’t do him any good at all.